When it comes to Main Course; Paneer is one of the most popular & common option which is prepared in almost every Indian house. In today's post we are making a Main Course Recipe which is very easy and famous in North India. 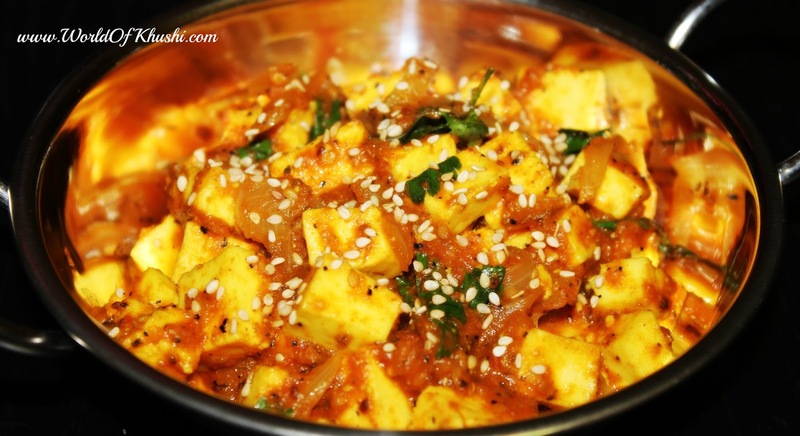 In my family we called it Sesame Paneer also known as Ajwain Paneer. Usually we prepare this during Monsoon or Winter days as it contains Ajwain and Sesame which keep your body warm from inside. Let's see how to make it!!! Step 1. Heat the Pan and add butter. Step 2. Once it get Hot add Ajwain and Sesame Seeds, saute for 15-20 seconds. Step 3. Add sliced Onion and Ginger-Chili-Garlic Paste and saute for a min or two. Don't turn the Onion Brown. Step 4. Add Tomato Puree and cook it for 6-7 mins till it dries and absorb water. Step 5. Add all the Spices; Cumin Powder, Chaat Masal a, Chili Powder, Coriander Powder. Saute for a min. Step 6. Add Paneer Cubes, Salt and Lemon Juice. 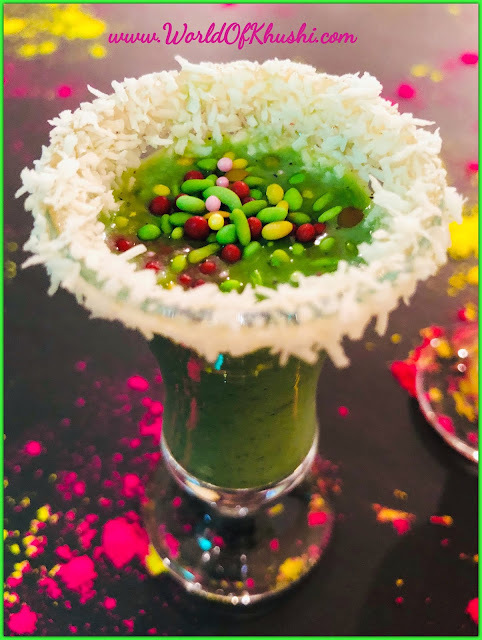 Mix it well! Add very less water so that it mixes properly and add Coriander Leaves. Cook again for a min. 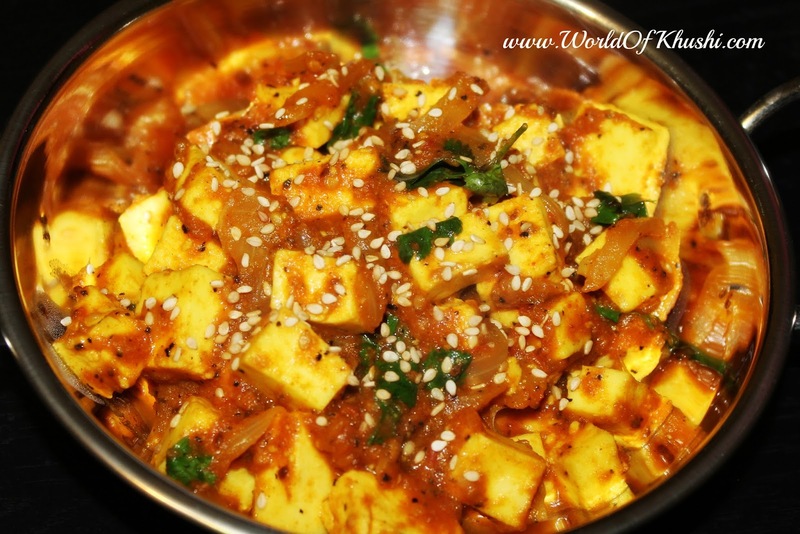 Your tasty Sesame Paneer is ready. Garnish it with Sesame and served Hot!! I hope you and family will love this easy Main Course Recipe. Please let me know your feedback and also share your pictures with us. For more such Recipes stay tuned with Khushi's World. Also like and share this post with your friends and family. Follow me on Khushi's World Facebook Page, Google+ , Instagram and Pinterest for more Posts. I will see you in next post till then take care.